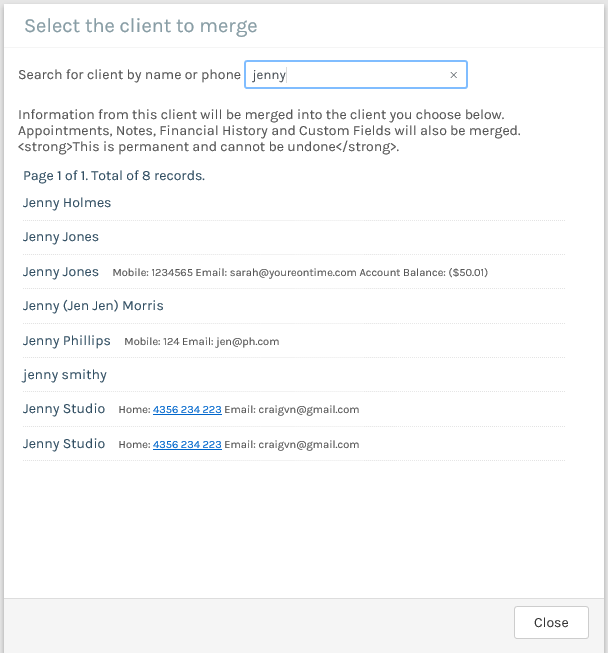 If you have accidentally added the same client into your system more than once hence creating a duplicate record, you can now merge those two client records into one. Select a client from your Client List. In the Client Details screen click the Merge Clients link on the right-hand side menu. A popup window will appear listing potential client duplicate records. Select the duplicate client record you wish to be merged into the current client record. 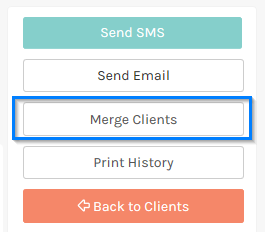 If you select the same client record you are trying to merge to the following message will appear. 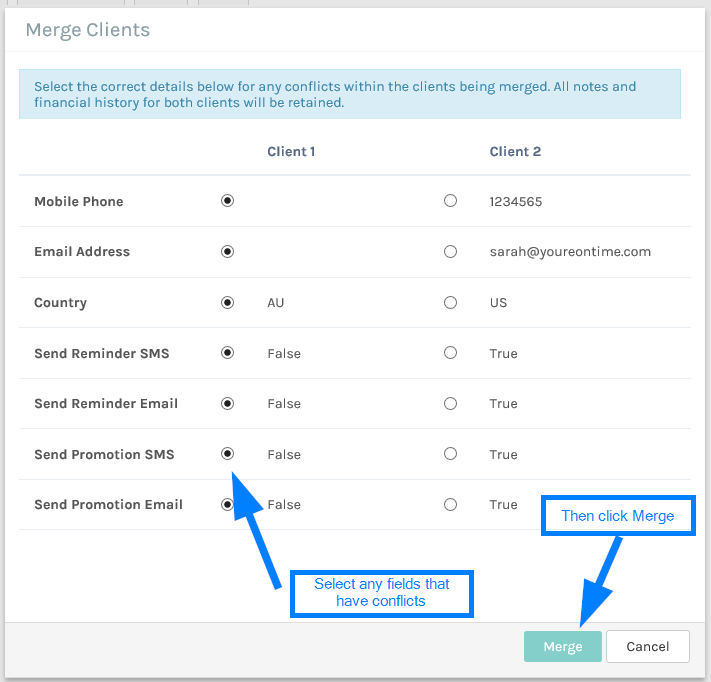 Once you have selected the duplicate record, the Merge Clients popup will appear. Client 1 being the current client record and Client 2 being the duplicate client record you have just selected. Any conflicting fields will be displayed and you can select the correct value to be used. Click the Merge button when you have finished. 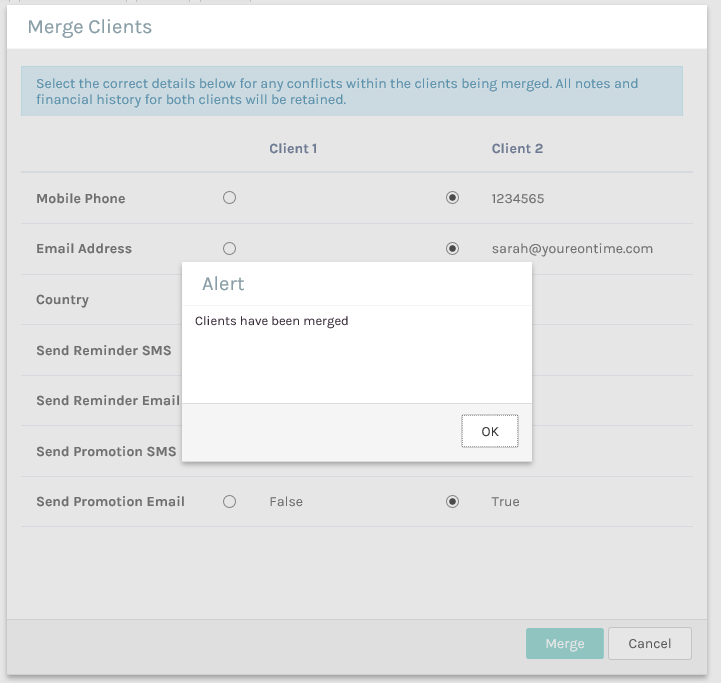 A popup will appear stating that the client records have been merged. 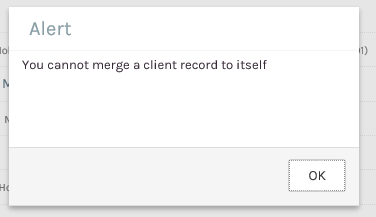 Click the OK Button and the merged client record will be loaded.